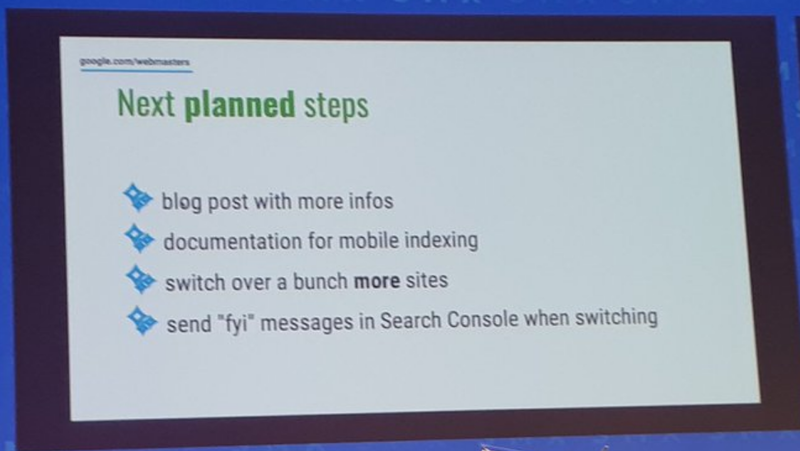 At SMX Munich yesterday, John Mueller gave some new insights into mobile first indexing during a talk dedicated to the Google Mobile First Index. Specifically, he talked about what happens when sites switch over and what is upcoming in Google Search Console for mobile first. Here is the slide from Mueller’s talk, from David Epding. First, Mueller mentioned that they are planning to add a new alert in Search Console that adds a message to let site owners know when their sites do change over from desktop indexing to mobile indexing. This will help for those site owners who were trying to figure out if their sites switched over by checking server logs or viewing Google’s cache to see if each page is currently cached with the desktop version or the mobile version. Mueller also mentioned that they plan to include an annotation in Google Search Console in the Performance Report to be an additional visual of the changeover for the site. 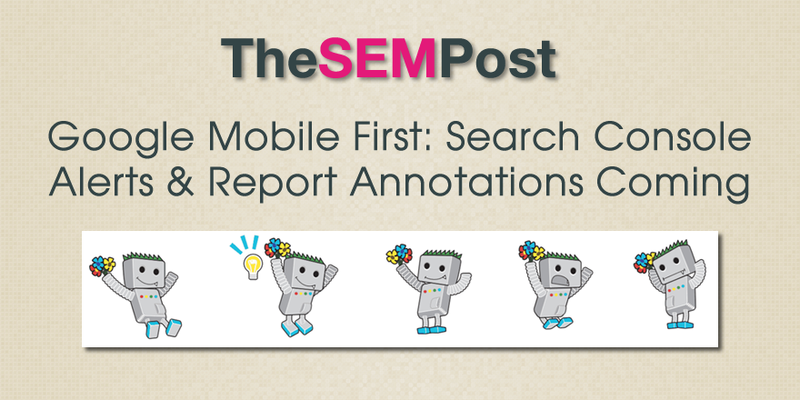 This will definitely help those who see fluctuations in their reporting data, which could be explained by Google switching the site from desktop to mobile indexing. It will also help site owners address any issues that pop up once the site is switched over, if they are alerted that it has occurred. While many are going through checklists to ensure their site won’t be negatively impacted with mobile first, there will likely be many issues that pop up on individual pages or an entire site. It is worth noting that this is on a slide titled “Next planned steps”, which the emphasis on planned. So these changes might not end up making it into Search Console at all, but they are currently on the Search Console road map to be added. And with more sites being added to mobile first all the time, these could be added sooner rather than later. It is highly likely it will be added to the new Google Search Console, as they add new features, rather than the old one.